Canon's CMOS (Complementary Metal Oxide Semiconductor) sensor captures images with exceptional clarity and tonal range, and offers the most pixels in its class. It offers many of the same new technologies to maximize each pixel's light gathering efficiency that were first seen with the professional EOS-1D Mark III model. It's an APS-C size sensor (22.2 x 14.8mm), and there's an effective 1.6x increase in the lens's marked focal length when attached. The EOS Rebel T3 DSLR's expanded repertoire of technologies includes shooting video in brilliantly clear, exactingly sharp high definition for playback on your HDTV! Shooting at 1280 x 720 at 30 (29.97) or 25 frames per second, HD video can be taken immediately through the EOS Rebel T3 camera's intuitive operation and layout. Parameters for white balance and picture style are already set — just grab and go! The EOS Rebel T3 features Canon's newest Dual-layer sensor, with 63 zones. By measuring not only the amount of light, but also taking into account color and luminosity, this new system delivers a very high level of accuracy for better results every time. The EOS Rebel T3 operates with such effortless speed that operation is nothing short of intuitive. With instant startup times, speedy autofocus and minimal shutter lag, the EOS Rebel T3 is one of the fastest cameras available today. It can shoot up to 3.0 fps (frames per second), in bursts of up to approximately 3 JPEGs or 2 RAW files, so you won't miss a shot. Compatible with 320EX, 270EX II and 270EX AF-assist beam (intermittent flash firing). With C.Fn-5-1 (Highlight tone priority), ISO 200 or higher will be set. 1/4000 to 1/60 sec., X-sync at 1/200 sec. When the image-recording quality is JPEG, continuous shooting is possible until the 4GB SD card (Canon standard test card) becomes full. However, if you use an SD card whose writing speed is slower than our test card or if the file size is larger than our standard test image, you might not be able to shoot continuously until the card becomes full. With RAW+JPEG Large/Fine, "BUSY" will be displayed. However, continuous shooting is possible at approx. 0.8 fps (averaged value). * Based on Canon's testing standards with a 2GB CF card, high-speed continuous shooting, ISO 100 and Standard Picture Style. 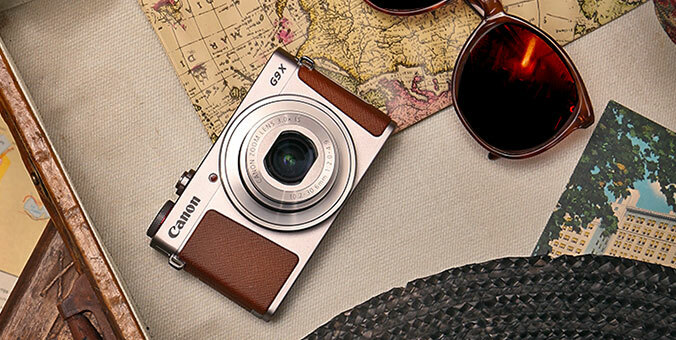 * Varies depending on the subject, SD card brand, image-recording quality, ISO speed, drive mode, Picture Style, etc. The ISO speed, aperture, and shutter speed (signal-accumulation time ranging from 1/30 sec. to 1/4000 sec.) are set automatically. Movie shooting in Tv, Av, or M mode is not possible. *Switches automatically to 1, 2, 3, or 4 to suit the TV. * With the AC Adapter Kit ACK-E10, AC power is possible. Video Shooting Total: 1 hr. 50 min. Total: 1 hr. 30 min.